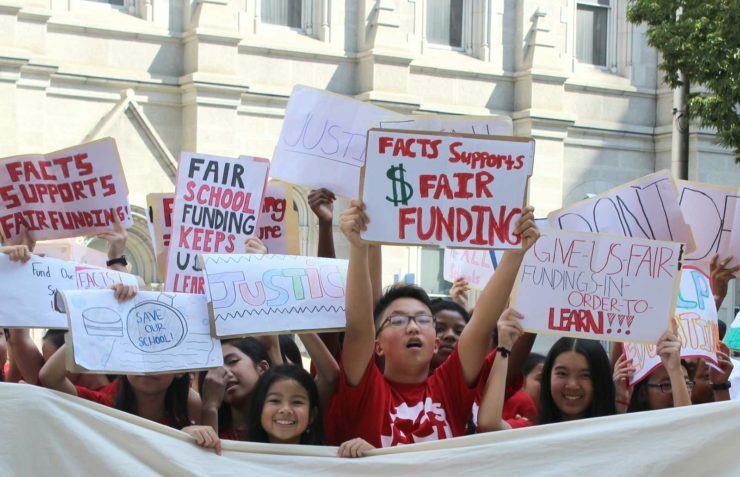 Students protest before oral argument in our school funding lawsuit. Pennsylvania has the largest funding gap in the country between low-wealth and high-wealth school districts. Pennsylvania is also ranked 46th in the share of funding that comes from the state, leaving local taxpayers to take on rising costs. How did we get here? Join our attorneys for a School Funding Briefing at Drexel Hill Middle School on May 23rd, hosted by the Upper Darby School Board. At the briefing, you will learn the basics of education funding and how it works in Pennsylvania, as well as ways you can get involved in advocacy for fully funded public education. You will also learn about the latest developments in the Law Center’s school funding lawsuit. Afterward, you will have a chance to meet Law Center attorneys working on this landmark case, as well as mingle with others interested in Pennsylvania education. Hosted by the Upper Darby School Board.